DonorSnap is able to integrate your database with your QuickBooks Desktop account. This integration requires some setup before it can be used the first time, but after it has been configured, donations can be easily sent to QuickBooks in batches. If you are using the online version, read the QuickBooks Online Integration Setup Guide. This integration is one directional. Donation records can only be transferred from DonorSnap to QuickBooks. Please note that DonorSnap is not able to provide any consulting or advice related to accounting practices or QuickBooks. You will need to involve your accountant or someone else that is well versed in QuickBooks in order to complete the setup of your integration. 1. Log in to DonorSnap and navigate to Maintenance > User Setup. 2. Select the user account that you would like to have access to the integration and move to the Rights tab. 3. Edit the rights and check the box under the Processing section for QuickBooks. 5. Navigate to Maintenance > Site Setup and click on the QuickBooks Integration tab on the far right. General Ledger Only – This option will require the least amount of setup. It will create a transaction with a debit in your asset account and a credit in your income account. The Journal Entry number shows the batch number that was used to integrate the donation. General Ledger and Donor Detail – This option will require considerably more setup. Each contact in DonorSnap will need to be individually matched with the QuickBooks Display Name field in their customer account. This method will create a similar record to the method above. The only difference is that it will be credited to a customer account as well. Control GL Date Range: To prevent data entry errors that might post transactions to the wrong year, use this date range to specify which dates are valid in your QuickBooks general ledger. Periodically update this date range as your valid date range changes. 7. On the computer that you use to access QuickBooks Desktop, download the installation file here. 8. Browse to the location where you downloaded the installation file, open it, and follow the installation guide. When it is finished installing, open the “DS QBDesktop” program using the shortcut created on your desktop or in your Start menu. 9. Click the Login to DonorSnap button and enter your user credentials. 10. Open QuickBooks Desktop and open your company file that you want to integrate with DonorSnap. 11. Switch back to the “DS QBDesktop” program and click the “Update DonorSnap” button. The first time you do this, a message screen will open in QuickBooks asking for permission to integrate DonorSnap and QuickBooks Desktop. a. Select “Yes, always…” Click Continue and confirm your selection when it prompts you. b. DS QBDesktop will then display a final message that shows the DonorSnap Account that you will be sending your G/L account names to and the QuickBooks company that the data will come from. Click OK if you are using the correct accounts. Click Cancel to return to the main menu. (Only with Donor Detail Integration) – Link your DonorSnap Contacts with the appropriate Full Name from your QuickBooks. 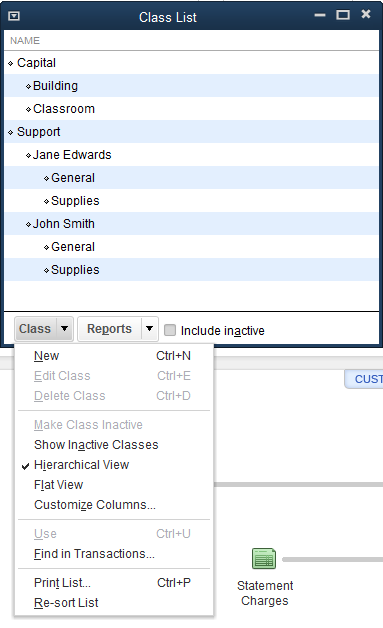 If you are already using Classes in QuickBooks Desktop to categorize your transactions, DonorSnap can now apply a class during the integration. The front end interface used to manage classes in DonorSnap under Maintenance > Site Setup > QuickBooks Integration is currently used only for QuickBooks Online. Create a user defined dropdown field on the Donation tab called “QBClass”. 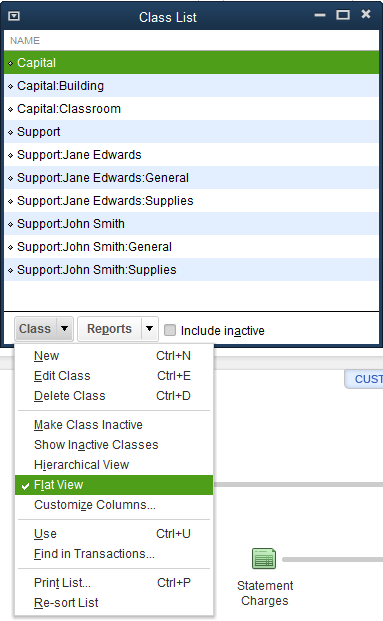 Add options to your new dropdown field that exactly match your class names. Integration your transactions as normal.